Gudrun is speaking with the portuguese engineer Bruno Pousinho. He has been a student of the Energy Technologies (ENTECH) Master program. This is an international and interdisciplinary program under the label of the European Institute of Innovation and Technology (EIT) inbetween a number of European technical universities. Bruno spent his second master year at the Karlsruhe Institute of Technology (KIT). Gudrun had the role of his supervisor at KIT while he worked on his Master's thesis at the Chair of Renewable and Sustainable Energy Systems (ENS) at TUM in Garching. His direct contact person there was Franz Christange from the group of Prof. Thomas Hamacher. Renewable energy systems are a growing part of the energy mix. In Germany between 1990 and 2016 it grew from 4168 GW to 104024 GW. This corresponds to an annual power consumption share of 3.4% and 31.7%, respectively. But in the related research this means a crucial shift. The conventional centralized synchronous machine dominated models have to be exchanged for decentralized power electronic dominated networks - so-called microgrids. This needs collaboration of mechanical and electrical engineers. The interdisciplinary group at TUM has the goal to work on modeling future microgrids in order to easily configure and simulate them. One additional factor is that for most renewable energy systems it is necessary to have the right weather conditions. Moreover, there is always the problem of reliability. Especially for Photovoltaics (PV) and wind turbines Weather phenomena as solar irradiation, air temperature and wind speed have to be known in advance in order to plan for these types of systems. There are two fundamentally different approaches to model weather data. Firstly the numerical weather and climate models, which provide the weather forecast for the next days and years. Secondly, so-called weather generators. 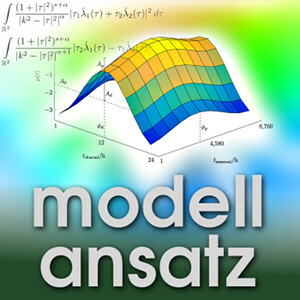 The numerical models are very complex and have to run on the largest computer systems available. For that in order to have a simple enough model for planning the Renewable energy resources (RER) at a certain place weather generators are used. They produce synthetic weather data on the basis of the weather conditions in the past. They do not predict/forecast the values of a specific weather phenomenon for a specific time but provides random simulations whose outputs show the same or very similar distributional properties as the measured weather data in the past. The group in Garching wanted to have a time dynamic analytical model. The model is time continuous which grant it the ability of having any time sampling interval. This means it wanted to have a system of equations for the generation of synthetic weather data with as few as possible parameters. When Bruno started his work, there existed a model for Garching (developped by Franz Christange) with about 60 parameters. The aim of Bruno's work was to reduce the number of parameters and to show that the general concept can be used worldwide, i.e. it can adapt to different weather data in different climate zones. In the thesis the tested points range from 33º South to 40º North. In the synthesis of the weather generator the crucial tool is to use stochastic relations. Mostly the standard normal distribution is applied and shaped for the rate of change and corelation between RER. In particular this means that it describes the fundamental behavior of weather (mean, standard deviation, time- and cross-correlation) and introduces them into white noise in an analytical way. This idea was first introduced for crop estimation by Richardson in 1985. Time-dependence works on different time scales - through days and through seasons, e.g.. In the Analysis it is then necessary to parametrize the measured weather data and to provide a parameter set to the weather model. Bruno started his Master course in Lisbon at Instituto Superior tecnico (IST). In his second year he changed to KIT in Karlsruhe and put his focus on Energy systems. In his thesis he uses a lot of mathematics which he learned during his Bachelor education and had to recall and refresh. The results of the project are published in the open source model 'solfons' in Github, which uses Python and was developed in MATLAB. P. Ailliot, D. Allard, P. Naveau, C. D. Beaulieu, R. Cedex: Stochastic weather generators, an overview of weather type models, Journal de la Société Française de Statistique, Vol. 156, No 1, pp. 1-14, 2015. C.L. Wiegand, A.J. Richardson: Leaf area, light interception, and yield estimates from spectral components analysis, Agron. J., 76, 543, 1984.
solfons: Artificial wheater data for energy system modeling, Software at GitHub. S. Seier, T. Alexandrin: Blindstrom - Der Energie Podcast, 2016-2017. K. A. Zach, L. Bodingbauer: Energiespeicher, PHS186 in der Physikalischen Soiree, 2013. F. Trieb, T. Pritlive: Energie der Zukunft, RZ033 im Raumzeit Podcast, Metaebene Personal Media, 2012.